Kickstarter Preview: RWBY: Combat Ready – Smart Gaming Co. Being a cooperative game we were instantly interested in this project, as cooperative game play is one of our favorite play styles in board gaming. That being said, the game seems to play very differently from other co-op games, having its own unique flare. The game play is broken down to a series of duels, where one player will act as the active player and the team mates will be acting in a support role by performing combos with the active player or completing objectives from that game’s scenario. Each dual is also broken down further into rounds. Good team work is essential to successfully complete the scenario and to achieve victory against the villain. RWBY: Combat Ready makes use of different scenarios to add a great deal of replayability to the game play, which definitely helps make it worth your money. The game also features many other incredible components including deck building, character experience, and campaigns. Which helps to add a lot of depth and variety to the game play. Players can play one of the four main characters from the series: Ruby, Weiss, Blake, and Yang. Each of the characters play styles are different from each other, allowing players to pick their character based on play style and not just looks. Each of the characters has their own deck of cards, that is used to form their attacks, actions, and moves. Graphically the game is stunning! Having a very unique anime based style to the artwork. The Kickstarter Campagin is currently live and you can find a link here. 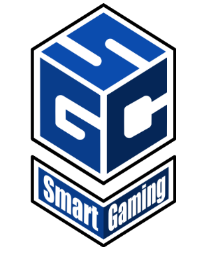 Several of us here at Smart Gaming Co. have decided to back the project ourselves and look forward to its release. If this game sounds fun to you we hope you do too!